So the way I judge a Bible/ Bible translation is its wording for my favorite chapter, Judges 6. I know some go with Romans, others, Isaiah, and others the Gospel of John. But honestly, Judges 6, and story of Gideon from beginning to end (chapter 9 with the rise and fall of his tyrant son) is my fave. Anyways, I have been trying to get back to trying to study Latin, and the little Greek I used to know. I have come across an interesting PLOT TWIST. In the Greek text (LXX) and Hebrew (MT), in verse 2, both versions have the Israelites running, hiding in the mountains, caves, and strongholds. The scenes are ones of desperation, fear, terror. In the Latin Vulgate however, a verb is added: repugnandum. Repugnant, as in the Israelites stood in opposition, and failed. I think the key here is to understand remember YHWH’s message to a nameless prophet before God eventually commissioned Gideon., “This is what the Lord, the God of Israel, says: I brought you up out of Egypt, out of the land of slavery. I rescued you from the hand of the Egyptians. And I delivered you from the hand of all your oppressors; I drove them out before you and gave you their land. I said to you, ‘I am the Lord your God; do not worship the gods of the Amorites, in whose land you live.’ But you have not listened to me” (Judges 6: 8-10). Suffice to say, not all persons and would be “revolutionaries” who come in the name of “resistance” are legit. For example, PaleoConfederates today and of yesteryear who are committed to White Supremacy and The Lost Cause, see themselves as a form of resistance. In actuality, they have rejected the God of Exodus, and they do not understand what freedom and reconciliation in Christ Jesus means. In sum, all political movements are empty without the God of Liberation at the forefront. 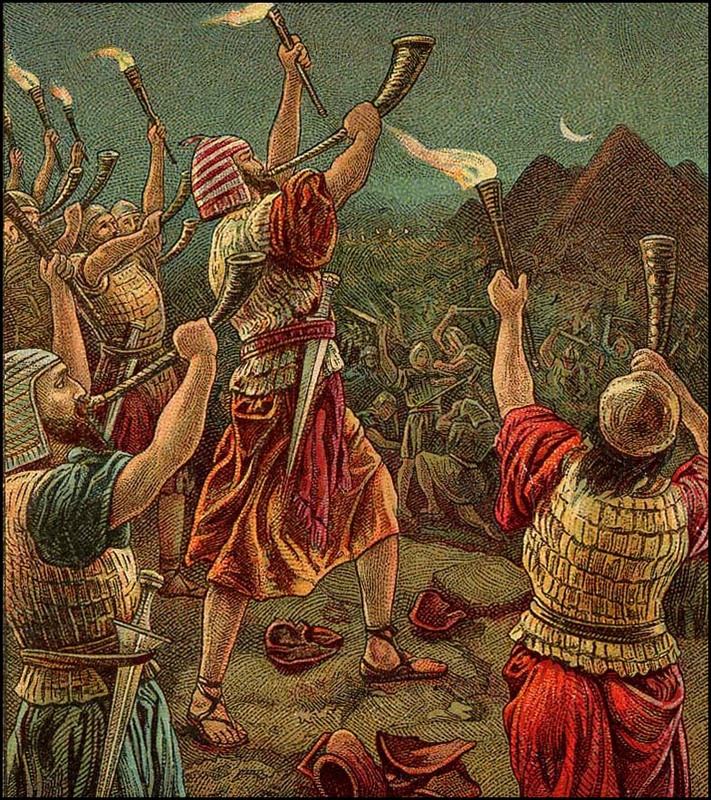 Israel’s “repugnance” at the Midianites (because they could NOT stand) up to their oppressors was due to the fact that they had abandoned the very source of their freedom, the God of Abraham. ‪#‎resistere‬. This entry was posted in Political Jesus and tagged Book of Judges, Christianity, ethics, Gideon, liberation, Old Testament, resistere on April 21, 2014 by Rod T.
I think it’s appropriate and not a coincidence that in the power and authority of God that Gideon was able to defeat the ravens and the wolves (all that picks at our flesh and freezes is with fear), old oreb and zeeb. The enemy was in the valley all along!